I love baking especially during the holidays but between the craziness of shopping and all of the guests that come to visit, I hardly have the time to bake. I don’t think the holidays are the same without a delicious treat that everyone can devour, wouldn’t you agree? 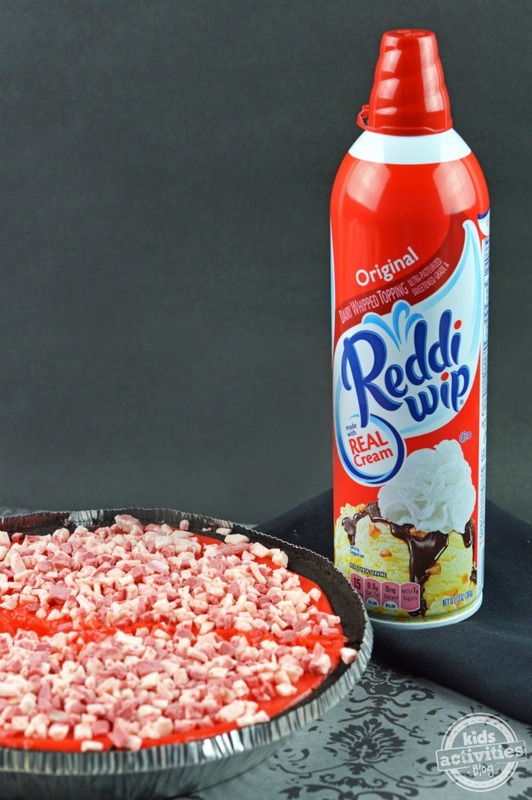 That is exactly why today we are partnering with Reddi-wip to bring you this No-Bake Peppermint Pudding Pie. It’s a mouthful to say, but it’s also a mouthful of deliciousness. In a bowl, combine your vanilla pudding and 4 cups of milk. Mix until well blended. Note: You will be cutting the amount of milk used to help thicken the pudding. 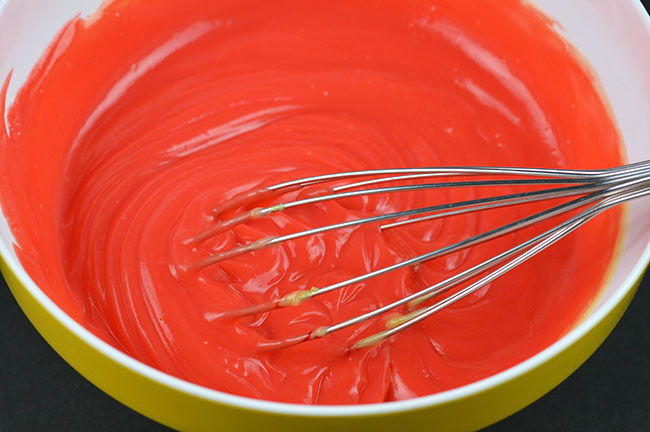 Once the pudding mixture has start to set (about 2 minutes) it’s time to add the peppermint extract and red food coloring. Mix until well incorporated. 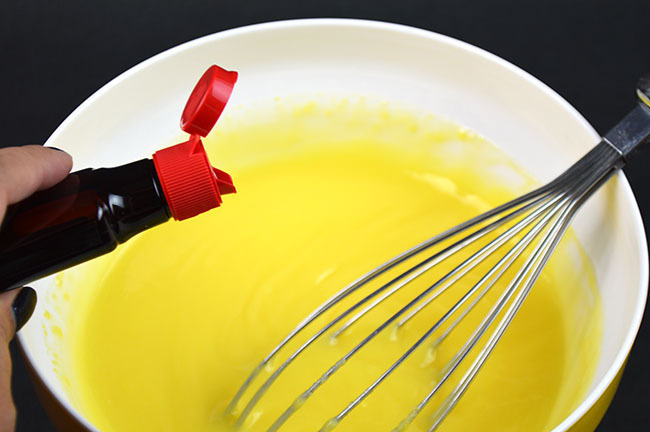 Carefully spoon the pudding mixture into the pie crust filling it entirely. 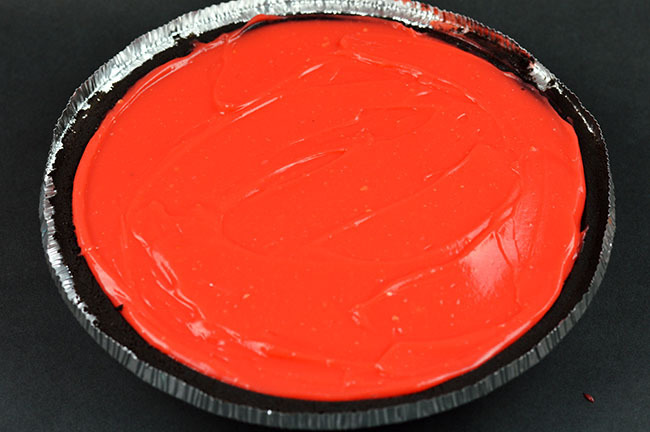 Sprinkle the top of the pie with the peppermint candy pieces. Refrigerate for a minimum of 2 hours. If you notice the pie is still not setting, you can freeze it before cutting and serving. 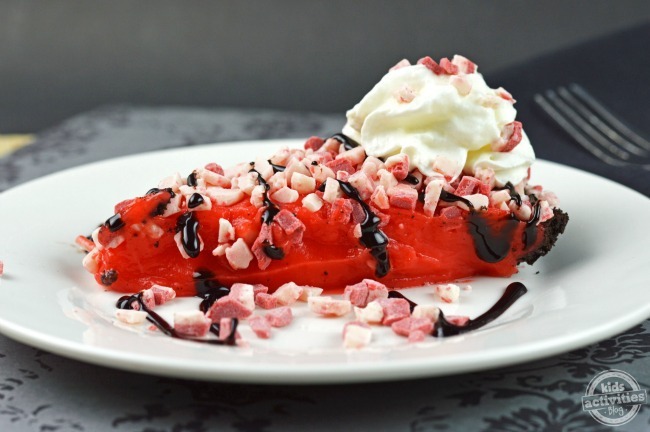 Once you cut a piece of the pie you can top it with the Reddi-wip, chocolate syrup and additional peppermint candies. The holidays are about spreading cheer and joy and what better way to do that than through one’s stomach? When your stomach is happy so are you. So this holiday season I encourage you to grab a can of Reddi-wip and keep one in your home at all times. Why you ask? 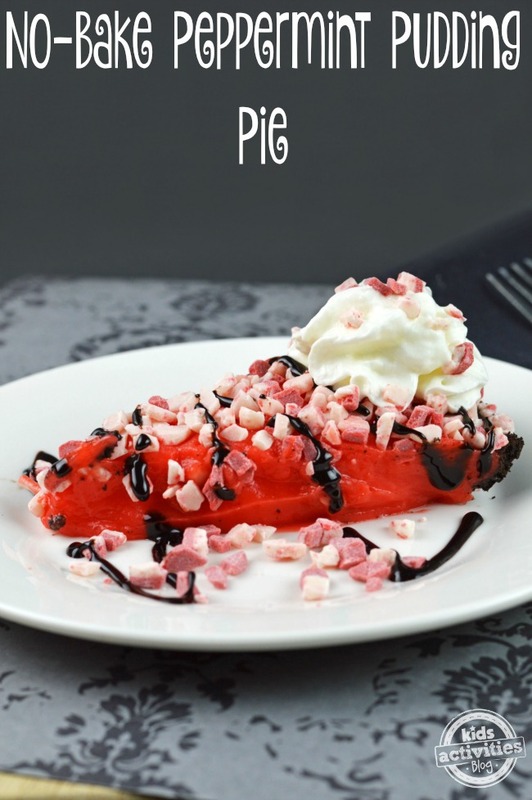 First off, it’s delicious but secondly, it adds that extra sweetness to anything you serve around the table. Personally, I cannot ever remember a holiday where I didn’t use Reddi-wip on my pie or on my triple berry shortcake. It’s just been one of those products that became a family tradition and now as an adult, I always have a can on hand. Reddi-wip is on a mission to help people experience more joy every day. Because when you experience a moment of joy and share those good feelings with someone else, the world becomes a more joyful place. So bring on the wonderful moments of joy and bring out the Reddi-wip and share the joy all around you. With the holidays in full swing, now is the perfect time to share joy with a little bit of love and sweetness because that goes a long way! You can find Reddi-wip in a grocery store near you. Don’t forget to follow them on Facebook, Twitter, Instagram, and Pinterest for the latest products and promotions.